Click here to buy this outstanding DVD on Amazon.com. 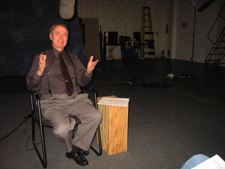 David on the Hollywood set of the Conquerors segment on Caesar in Gaul. The History Channel presents a documentary tour de force on the world's greatest battles and the fearless men who won them. 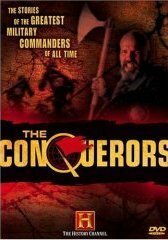 From King David and El Cid to Napoleon and Marshal Zhukov's capture of Berlin, The Conquerors brings the terrifying rumble of tanks and the deadly arrows of conquest vividly to life.